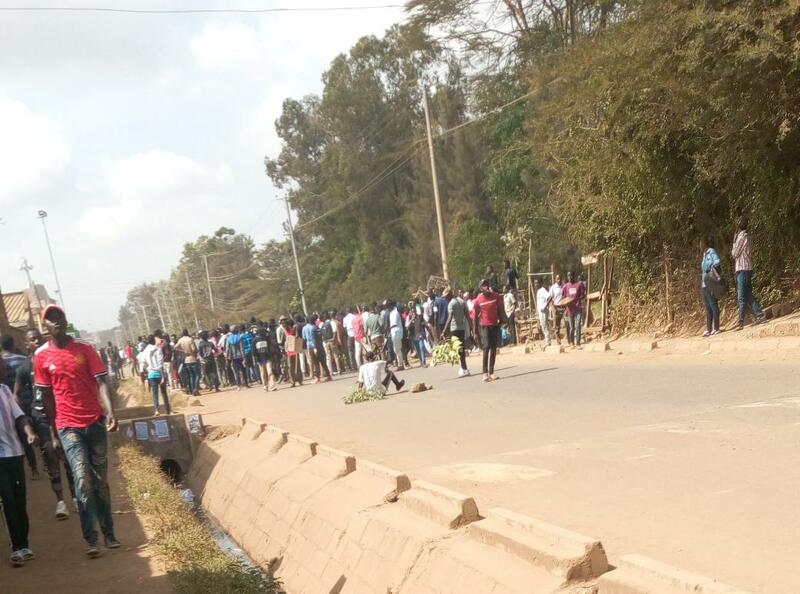 Students from the Jomo Kenyatta University of Agriculture and Technology on Friday protested killing of a student in the institution. The first year girl is said to have been stabbed to death on Thursday night at around 7.00 am at Seagull Hotel. However events that led to the incident still remain unclear. Some took to social media to air their frustrations under the hashtag #stopkillingJkuatStudents. They cited high rate of insecurity at the Juja based varsity, saying robbery with violence is on the rise. “Why has the killing of our students become a norm? It is very heartbreaking for a parent waiting for a degree to receive a lifeless body.This should stop!” Roy Sasaka tweeted. Young JKUAT student was stabbed to death on the 7th, Feb at Seagull. Why has the killing of our students become a norm? It is very heartbreaking for a parent waiting for a degree to receive a lifeless body. Some prayed that no student should lose their life again in the future. The students had written to Juja OCPD Simon Thirikwa notifying him of the peaceful protest, cited increasing ‘unexpected killings’ in the area. “This is to inform you that we will be having a peaceful demonstration in Juja JKUAT environs, on Friday 8th of February 2019 as from 9.00am,” read the memo in part. In a separate incident last week, a fire broke out in the institution on Monday. The fire is said to have started at around 4.am. However, no casualties were reported.